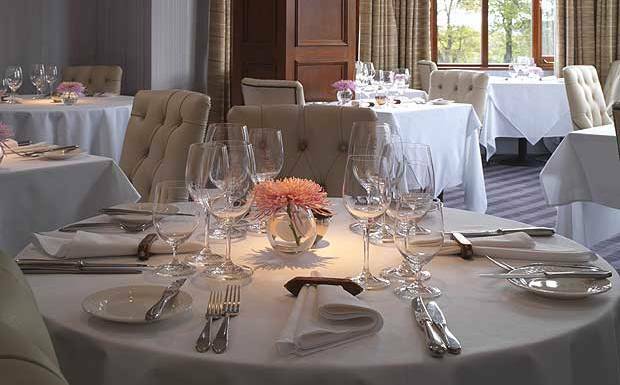 In our other posts in this series we looked at Fine Dining in Berkshire and Fine Dining in Scotland. As your reviewer is going to be spending half-term week in Cheshire I was curious as to what was available to me in the region so decided it was time to explore fine dining in the Northwest! This incredible restaurant must be the first to spring to mind when thinking of fine dining in the North. Chef Simon Rogan is synonymous with this region and has confirmed his place in culinary history by topping The Good Food Guide this year with a perfect score of 10 to add to the restaurants existing two Michelin stars. 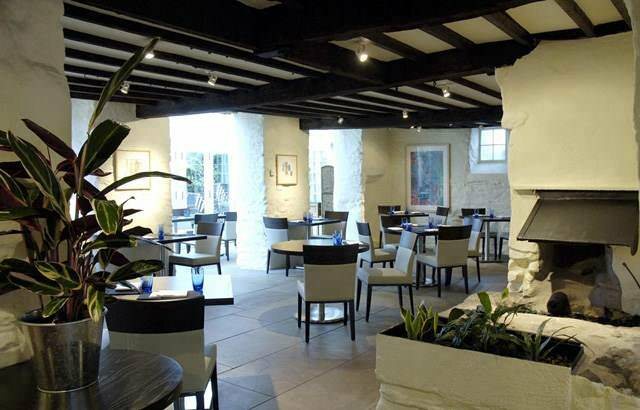 He has been called “one of the most innovative chefs in the country” by the Guardian, and L’Enclume is known for producing some of the most startlingly original menus around. Located in one of the most scenic parts of Britain, in a secluded stone-walled building which also features a number of rooms for staying guests, L’Enclume blends molecular gastronomy with timeless elegance – using forward-thinking techniques to get the very best flavours out of feted local produce. Food arrives in the form of tasting menus, of small to medium dishes – these can include the intriguing “carrot sacks” with brawn, juniper, fried cake and cress, and other carefully thought-up ingredients like goat milk mousse, cockle butter and burnt pear. But there’s also a focus on what we are familiar with, amid the invention. Potted trout is served with radish, dill and rye toast; and while the vintage potatoes might come rolled in onion ash, it’s the flavour that we’ll recognise. Meat takes the form of, for example, a duck “sweetbread” or the pairing of hake and chicken skin. Foraged herbs and vegetation dress the plates beautifully. In order to help you with your leap of faith, there’s a great wine list chosen to help its “interaction with the food”. Two pricing options are available and vegetarians are well looked after. The availability of seasonal goods also dictates the menu as it is ever changing. This doyenne of the North has retained its Michelin star since 1990 and is considered by many as the best restaurant in the North. Simon Radley (the restaurant was named after the chef some years ago to reflect his contribution to its success) is housed in the Chester Grosvenor Hotel that is located at the heart of the city, a notable building in the Chester trademark black and white style. The restaurant is a proper grown up affair and service has been called formal at times but this seems to reflect the traditional character of a dining room that takes its art very seriously. The extensive bread board is commonly regarded as being one of the best in any Michelin restaurant. Ingredients are locally sourced and include saddle of rabbit, hand rolled smoked bacon macaroni, pumpkin and poached langoustine, red mullet, fennel rouille, poached langoustine and sourdough crunch and Croquant pears, iced walnut with candied celery and blue cheese. Vegetarians are also well catered for with their own separate tasting menu. 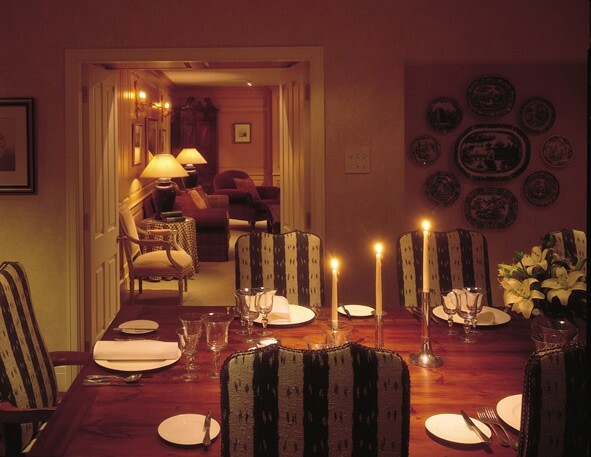 Described as “a country house hotel with a heart” Holbeck Ghyll is one of the Lake District’s finest places to stay. As you begin the ascent to the house from the edge of Lake Windermere, you will leave traffic and the sounds of everyday life behind. Turning the last corner of a sweeping tree-lined driveway, a quintessential English country house stands before you. 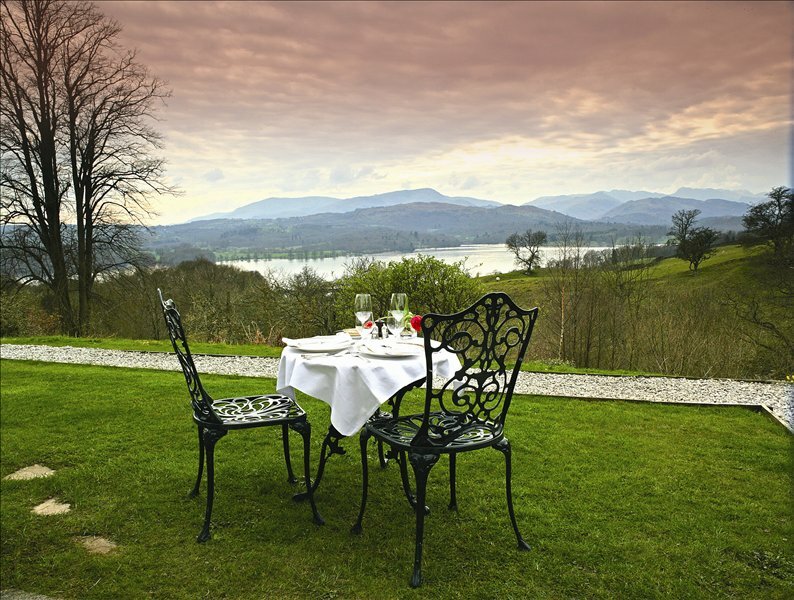 The view from Holbeck Ghyll is so beautiful, it’s been rated amongst the top 15 in the world. Under the guidance of Head Chef David McLaughlin, Holbeck Ghyll has proudly retained a Michelin star for 11 consecutive years, celebrating the culinary heritage of the North of England. The quality of the locally sourced ingredients and combination of flavours, produce exceptional cuisine, prepared with passion and flair. Enjoy salad of warm Périgord Quail with white grape and Sauternes dressing, roast loin of Lakeland venison with herb spätzle and squash purée and nougat glace with exotic fruit and warm mango parcels. The aim is to create food that isn’t overly fussy, but combines wholesome flavours with a dash of creativity. Portion sizes aren’t frustratingly small either, as they understand many of the guests joining are doing so after a tiring day on the fells! Northcote, near Blackburn, was once the family home of a Lancashire textile baron, and it still holds the atmosphere of warmth and well being. The original hallway welcomes guests with roaring fires in the winter, and a small bar for those who enjoy an afternoon cocktail. Details of the building’s rich history appear on the restaurant’s website where such information isn’t merely offered as background miscellany but to offer a sense of context to the food being served. Northcote’s modern dining room is a fresh, sophisticated setting in which to appreciate the collection of modern art by Malcolm Fryer – and the culinary masterpieces of chef Nigel Haworth. Nigel’s wonderful innovative style is truly exposed in his passion for attention to detail and true honest flavours, served in an atmosphere that’s warm, friendly and sincere. Regional fare is served up beautifully here; Lancashire cheeses could be employed to create a rich, dense fondue whilst Kendal mint cake is often on the menu, reimagined as a delightful dessert paired with strawberries and meringue. 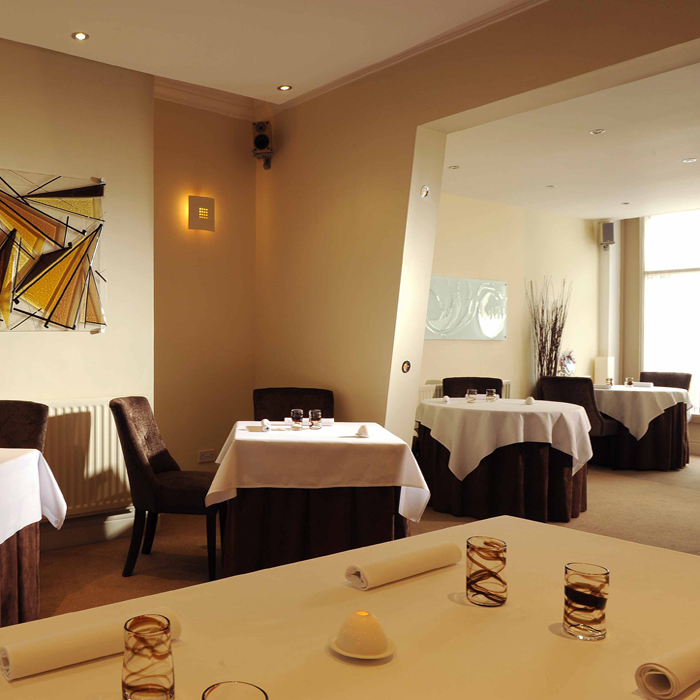 Northcote was garlanded with a Michelin star in 1996 and has held on to the accolade ever since. 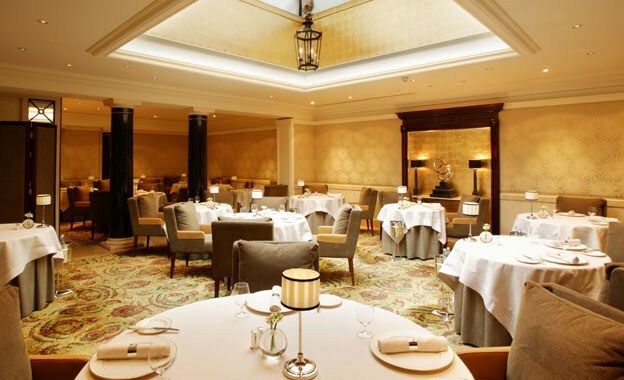 Despite the long term stability, all evidence points to a strategy of growth not consolidation; the kitchen’s – equipment and layout – have been upgraded to make further Michelin stars possible whilst the introduction of wunderkind Head Chef, Lisa Allen, has ensured the food retains its contemporary edge. Northcote proudly promotes its fabulous local ingredients, wealth of home grown vegetables and equally enthusiastic local farmers. It has spearheaded the revival of Northern food and is an absolute joy to visit. Marc Wilkinson’s restaurant is small, modern and, without being a cliche, fresh. His vision is very personal and since being awarded its Michelin star in 2009 has become a destination for locals and visitors alike. Wilkinson is innovative and obsessed with detail and with such a small cover restaurant he can control the kitchen himself without a huge team. The feel of Fraiche is therefore cosseted and personal and emphasis is placed on comfort for guests. The six course tasting menu includes butternut squash, tangerine and yoghurt; wild brill fillet, parsley quinoa, grape and rose and chocolate mousse, sea buckthorn and pear. Handcrafted breads and matched wines are served with descriptions by knowledgeable staff. Though not noticeably formal, being so small means conversations can seem loud if they are not whispered but that aside the subtle introduction you are given to molecular gastronomy is memorable. A very special small 11-bedroom hotel with spectacular views overlooking Lake Windermere in the Lake District. The Samling is famous worldwide for its un-spoilt English charm, romantic setting and excellent cuisine. The kitchen is headed up by the prodigiously talented Ian Swainson and was awarded a Michelin star (which it had lost for a short-time) in this years guide and is the current holder of the “Best Boutique Dining hotel in the world”. Ian has joined the hotel with a reputation as one of the most exciting young chefs in the industry after Head Chef roles at the Michelin starred L’Ortolan and La Becasse restaurants. The menu serves up unashamed fine dining delights such as ribbons of foie gras with poached lobster served with chicory jam ; twice cooked rib eye of beef with a snail cigar, parsley porridge bonon, shallot marmalade and white onion royale and chocolate rock with textures of pomegranate and beetroot and fresh coconut. If there is one chef capable of resurrecting The Midland Hotel’s reputation for extraordinary food (The French won and promptly lost a Michelin star back in the seventies) it is Rogan. Definitely one to watch. Hipping Hall is a modern country house hotel and restaurant on the rugged borders of Lancashire, Cumbria and Yorkshire. Their ethos is ‘simple things done well’, which they have perfected in our opinion. Do let us know of any restaurants you think should be included in this list and I’ll check them out when I’m up at half-term (that’s if I can still move after all the food I’m planning on eating!). Previous articleLifestyle ArticlesShould restaurants offer a 'soft drink' pairing along with their wine recommendations?